Soon the true lovers of geopolitical strategies will get another chance to return to Europe of the Middle Ages. 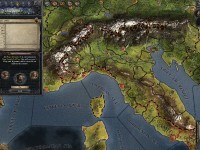 In this our Preview of the upcoming Crusader Kings II game we will provide you with our first impressions about this title tend to become another PC exclusive. 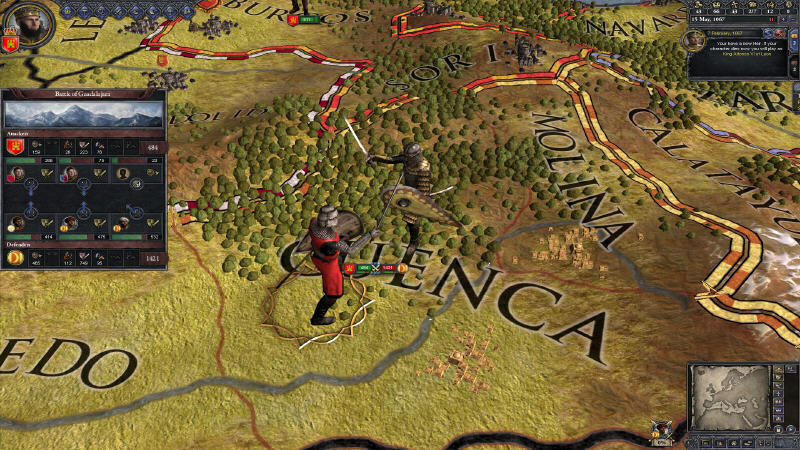 Historical strategy games made by Paradox Interactive show great attention to their authenticity. Those fond of history can learn many new things about any eras of interest. 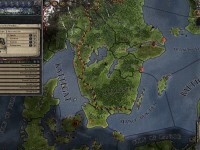 Creative minds of the developers working in the Swedish publisher’s internal studio have already covered a wide range of possible periods ranging from Antique times with Europa Universalis: Rome (2008) to all the World War II (1939-1945) events in the Hearts of Iron (2002-2011) trilogy. 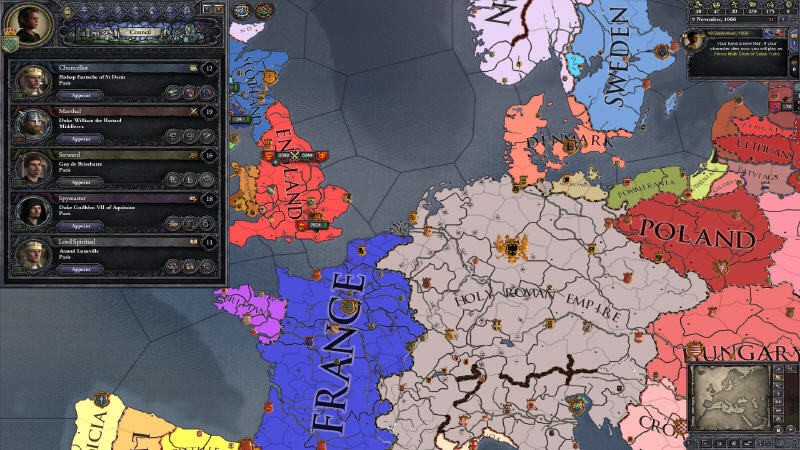 Crusader Kings isn’t the first step in the Middle Ages for the developer, though. Thus, the focus of Two Thrones (2004) was aimed at the confrontation between England and France in 1337-1490 years. There were also three episodes of the Svea Rike (1997-2000) line-up. 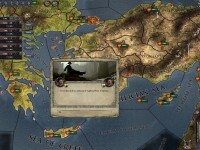 However, the idea of ​​Crusader Kings (2004-2012), while having some common features with its predecessors, still offered some unique differences from other studio’s titles. 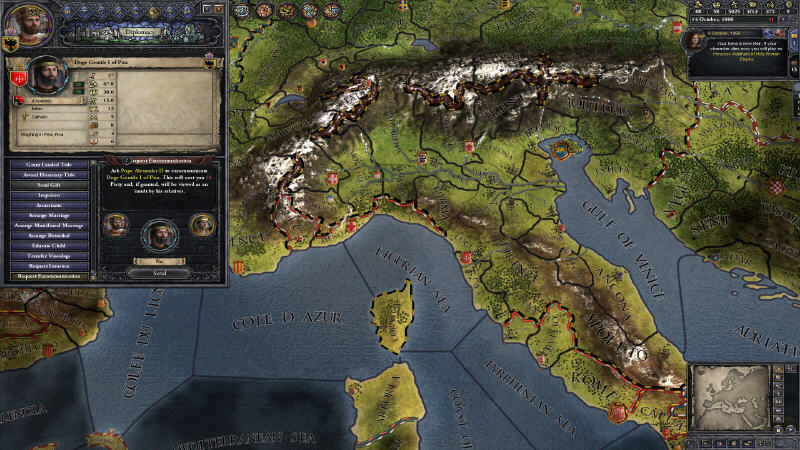 This tendency moves on with the sequel titled Crusader Kings II, which will be released next week. First of all, this series used to reduce the number of scripted events. In other words, the course of history after a very realistic start turned out to be entirely in your hands. Your neighbors, friends and enemies also helped to decide, how everything around you would be changed. 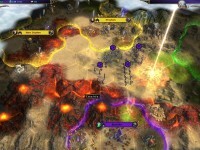 Many virtual characters scattered all over the in-game map were making new familiy ties, entering the hereditary rights and getting new specific traits and abilities, while struggling to achieve the desired objectives, what was forming a complete picture of the surrounding world out of all these details. 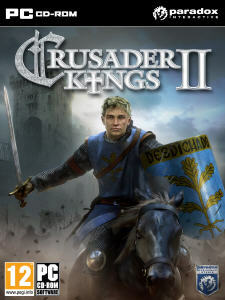 The Add-on to the original title, Crusader Kings: Deus Vult (2007), tried to change several laws of the gameplay mechanics. However, the expansion pack also stayed very friendly to any modding opportunities allowing the fans to implement a lot of their own ideas. 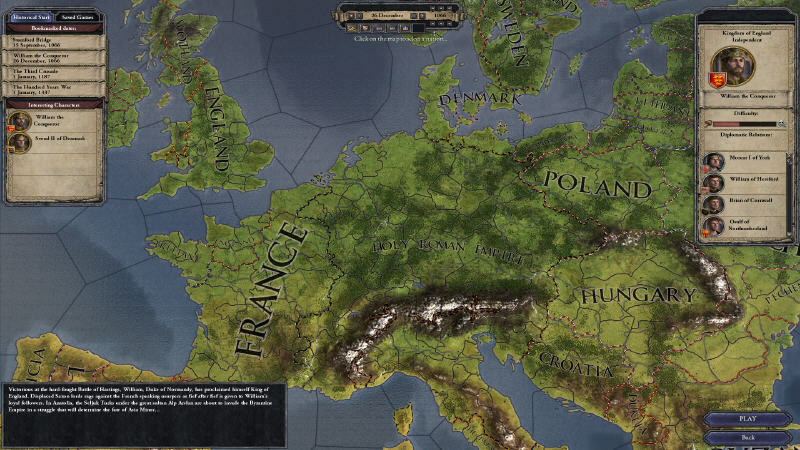 Five years have past since, and it has been a long time before Crusader Kings II was finally finished, but the developers kept the pace of making improvements elsewhere. 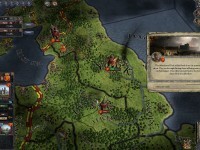 In the past years they released some notable titles based on the Clausewitz unique englie already tested in Europa Universalis III (2007), Hearts of Iron III (2009) and Victoria II (2010). The demo version of the new Strategy title came out in early February, while the marketing campaign brought by a series of funny videos featuring the Seven Deadly Sins of a young king. You can watch all its already released episodes in our Videos section, which we are going to enrich with the latest part as soon as its available. Amonth other cool events for the fans we would name a competition offering gamers to create a biography of a noble family in exchange for including the winners’ names to the list of the sequel’s dynasties. In this Preview we will only address some of the key game features we have enjoyed during our test play, while everything else will be analyzed in more detail in a separate Review. 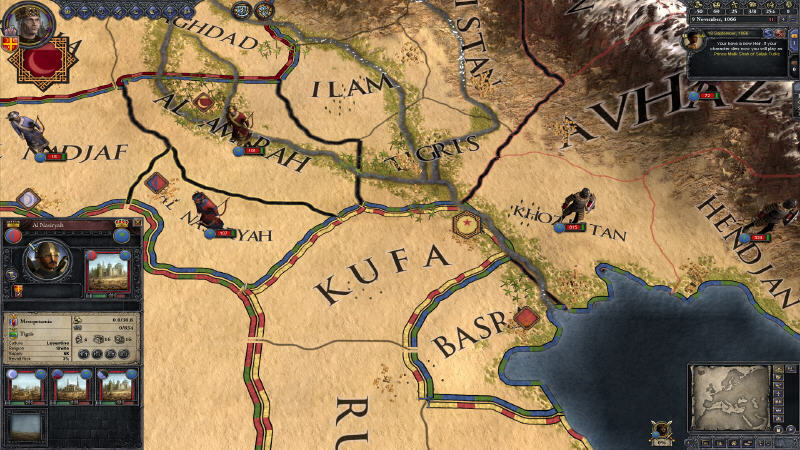 First of all, the strategy Crusader Kings II shows a vastle improved Tutorial. In order to evaluate its importance and all the positive effects you might try to launch the original title and compare the changes. 27 educational scenarios are grouped based on their difficulty. On your way you will be supplied with interactive tips being able to learn many intriguing gameplay features that are better to be found out before you start the main Campaign. The key story scenarios are set around the three historic milestones, although the full timeline covered by a sequel stretches from 1066 to the 1453 year. These dates were not chosen randomly, as the first one marks the Norman invasion of England led by William the Conqueror, and the last one accompanies the fall of Constantinople stormed by the Ottoman Turks. 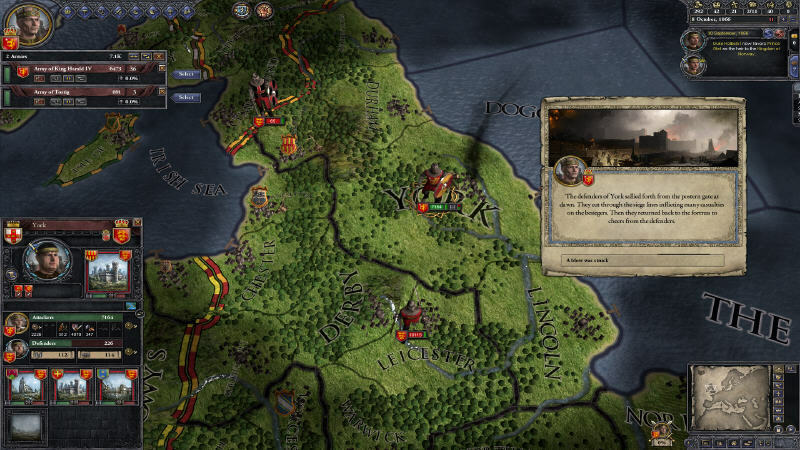 For your start in Crusader Kings II you can select several notable historical points in this time span, such as the Third Crusade (1189-1192), where King Richard the Lionheart (1157-1199) was involved, or the Hundred Years’ War (1337-1453), when England and France were trying to resolve their disputes with military campaigns. In the game you will have to deal with a number of vital resources like Wealth, Prestige, Piety, Demesne Size, Realm Size and the Score. The latter one is calculated using the accumulated numbers of Prestige earned by all the characters you played in the current party. 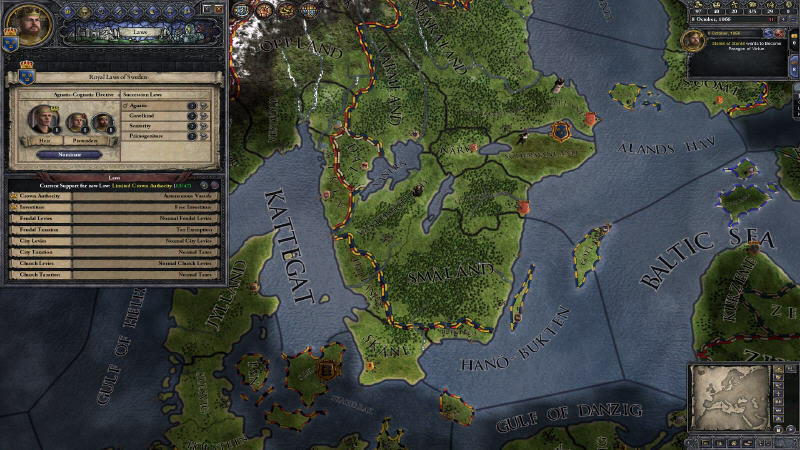 An important innovation for the economy level of the Crusader Kings II strategy is the emergence of baronies – the lowest management level inside counties. This was done not only to improve the managerial options, but also to give more things to do for those experienced gamers, who prefer to start with more difficulties and fewer possessions. Now these players will get additional responsibilities, while trying to keep their barons at hand. The amount of earned Prestige clearly depends on your behavior, decisions and undertaken actions just as the Piety points. In those times a conflict with the Church might lead to many tough challenges. A king could easily find himself traveling to the Middle East to fight heresy losing the stability of his home realm. Monarchs, who were refusing to cooperate, could become a Crusade target themselves. Even if you befriend the Papal faction, still there are drawbacks for your strengths’ list. 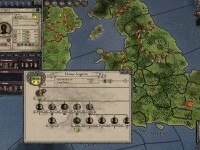 In Crusader Kings II the appointed bishops will not pay taxes, if their respect for the Pope is higher. Also you shouldn’t neglect your own vassals. Just try to grab more land for your own Demesne, and they will slowly begin to envy your rule making you think about some fair sharing. The Vassalization system is a good way to expand your borders with little blood later on getting more tax income and war recruites. The lands of your subordinates are included to the territory of your realm. Still you will have to wage many wars to proceed and get a hold of new wealth. Just don’t expect these military campaigns to be quick, cheap or painless. 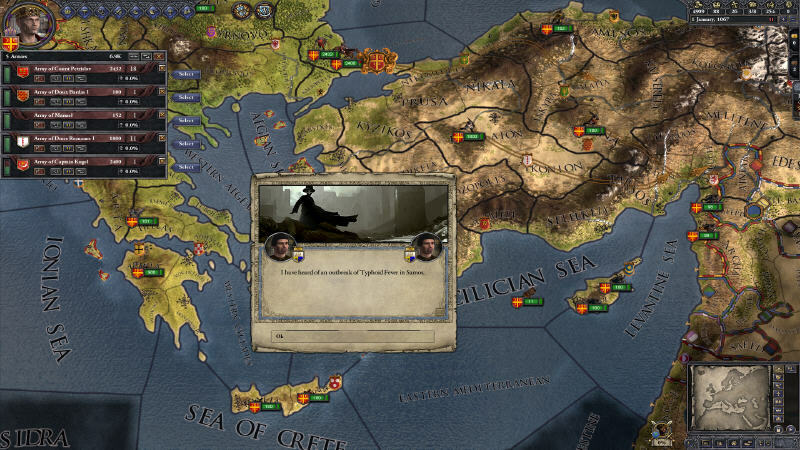 In addition to the casualties and undertaken costs, any military campaign in Crusader Kings II can take a lot of time, while you still can try to help your dynastry grow in other directions. For example, through the proper arrange of marriages, one of your heirs might inherit a county or land you would have difficulties to acquire otherwise. Your main task in this game is not to lose your last piece of land and have at least one member of the native dynasty alive. So you need to think about those marriages and preparing heirs in advance. It is better to avoid hasty policy decisions as well, if you aren’t willing to fight their consequences. The game features a vast number of existing historical characters, whom you will meet and interact with during the course of your party. You can even use your chance to become someone else’ vassal and pay your tribute honestly to the liege lord. 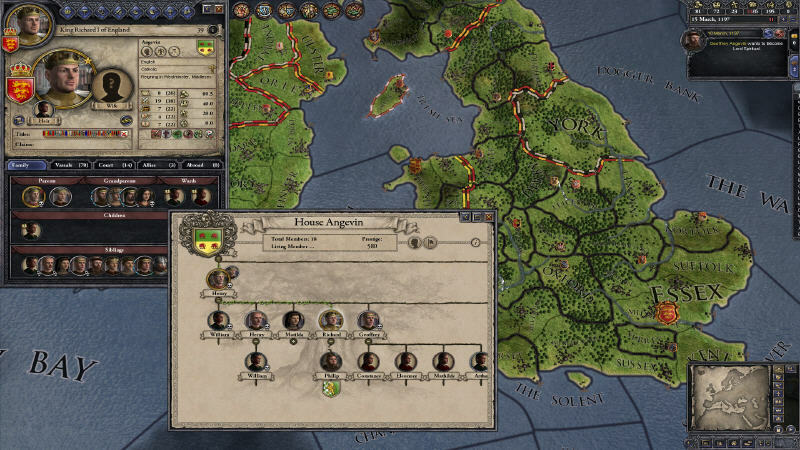 The area of Personal relationships in the Crusader Kings II sequel has reached a new level with introducing ambitions and letting the characters’ views of each other change over time. It is enriched by the fact that any insult inflicted once will be remembered and might get a fierce revenge later one. More game events were added, while the advisors can now be sent to perform missions on the global map. 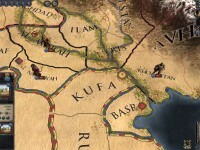 The borders of the in-game map span from Britain and the Sultanates of North Africa on the left to Siberia and eastern Ilkhanates on the right side. The 3D global map is quite colorful, while still retaining a number of filters you would need to research the areas of interest. The animations are pleasing the eye just as well as a more user-friendly interface, where, for example, you couldn’t only see the current amount of resources your realm has, but also monitor the sources of their flows to your coffers just with a simple holding your mouse cursor over a number a little longer. 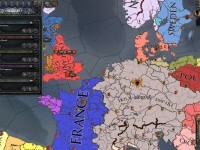 The AI in geopolitical strategies made by Paradox Interactive is known for not showing any mercy to the human rivals. Later on we will share our impressions about the AI in Crusader Kings II, but before that we would like to play more dozen of hours. This wouldn’t count the time you might need for the MultiPlayer parties. Over your LAN or the Internet you can select your favorite character to play with and then bring up to 32 competitors to the match unfolding in real time with an optional pause mode. Meanwhile, our play session also encountered some great soundtrack pieces created by an experienced Swedish composer – Andreas Waldetoft, who has been scoring Paradox’s titles for years. A variety of music here really creates a pleasant atmosphere. 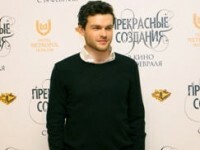 Some tracks also demonstrate a clever usage of supplemented male and female vocals, while everything stays true to the familiar Medieval style. 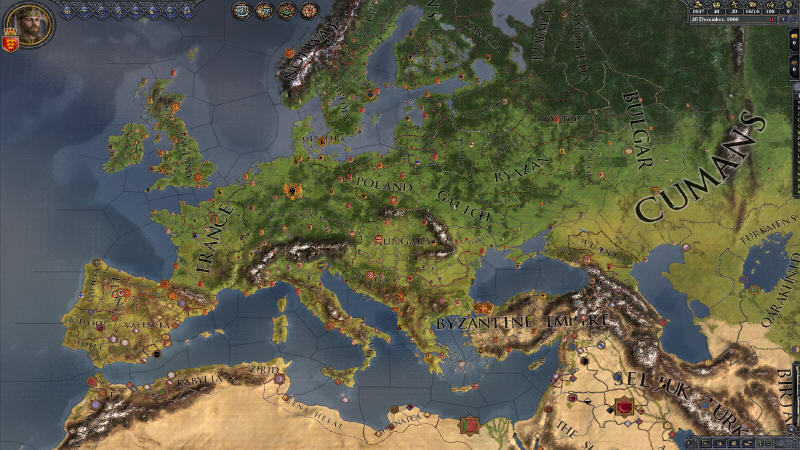 The Crusader Kings II release is a worth waiting event for many historical strategies fans all around the world. Here, you can easily dive in to the atmosphere of the Middle Ages, while visiting this world of intrigues, betrayal, heroic deeds and fierce struggle for more presitigious titles, at the same time trying to cope with possessions and vassals. Your initial choice offers many possibilities like trying to be a cautious Duke of Novgorod today or fighting for the throne of England against other noble contenders tomorrow.